The eminent medical physician, pre-eminent scholar, prolific writer, an avid researcher and an indefatigable nature lover, Christopher Gunapala Uragoda popularly alluded to as ‘Chris’ or ‘CG’ carves a niche in the annals of medical history as he reaches his 90th milestone in life on September 22 this year, in the arduous journey of samsara. Dr. Uragoda hails from Hikkaduwa initially schooled at the local boys school secondly at the Richmond the reputed Methodist school and thereafter at Mahinda and Ananda both leading Buddhist schools. Living adjacent to the sea in ‘Sandfield’ as the youngest of three boys where two were destined to be medical professionals and the other a lawyer, would have seen his life through the kaleidoscope of his father who was a reputed surveyor -- from the stock of the Woodward days’ Mahindian. Dr. Uragoda is not a mere ‘physician of the wilderness’, who enjoyed a lucrative practice, a rare bibliophile who also aspires to document literary pursuits for posterity on novel themes. His maiden book titled: ‘A History of Medicine in Sri Lanka – from the earliest times to 1948’ was authoured by him to mark the centenary of the Sri Lanka Medical Association in Colombo in 1987 which was republished in 2014’. This book was later translated into Sinhalese. His second book titled: ‘Wildlife Conservation in Sri Lanka was authored by him to mark the centenary of the Wildlife and Nature Protection Society in 1994. In this book he was in a position to trace the formative days of Society through other sources as the minutes of the early days which were irretrievably lost in the whirligig of time. His third opus was released in 2000 as a Sridevi publication titled: ‘Traditions of Sri Lanka’. It was initially his presidential address which was delivered at the Royal Asiatic Society of Sri Lanka ( RAS) in 1990 where his topic was ‘A Scientific basis for some traditional beliefs and practices in Sri Lanka’. which ran into a second reprint in 2008. Dr. Uragoda had the rare distinction of being the second medical professional to hold office as the President of the RAS; the first was Dr. J. Frazer from 1855-1869. Dr. Uragoda co-edited with G.P.S.H. de Silva the, Sesquicentennial Commemorative volume of the RAS of Sri Lanka in1995. He also co-edited ‘Jungle Journeys in Sri Lanka’ - experiences and encounters’ published by Vishvalekha in 2004, ‘A Bibliography of Medical publications relating to Sri Lanka (1981-1988)’ in 1991, co-edited with Kamalika Pieris. 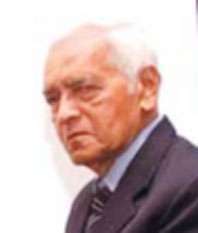 He edited the ‘Bibliography of Medical publications relating to Sri Lanka (1811- 1976) in 1980, he also edited ‘A Bibliography of Health 1977- 1980 in 1983 and ‘A Bibliography of publications on Neurosciences relating to Sri Lanka 1811-1982’. It was co-edited with J. B. Peiris and Kamalika Pieris in 1983. He wrote his ‘ memoirs depicting changes during a lifetime’ titled: ‘Sri Lanka Then and Now’ in 2008 published by Vishvalekha publishers. In 2009 his book on “Traditional Appliances and Practices” was made available as a Sridevi Publication. This book was also based on a new theme like his other past publications. Thereafter he embarked on a series of books in three volumes titled: ‘Authors of Books on Sri Lanka 1796-1948; Their Short Biographies in Alphabetical Order volume1’ 1949-1975 volume 2 , 1976-1990 volume 3 –all were Sridevi publications published in 2011, 2014 and 2015 respectively which were indeed culled from his personal rare collection. 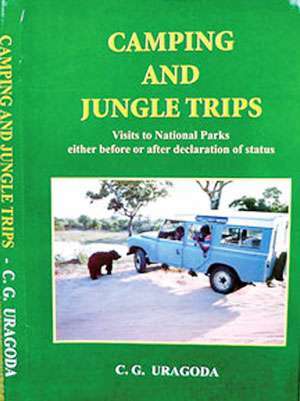 In 2013 a book titled, “Camping and Jungle Trips – visits to National Parks before or After Declaration of Independent Status “was released as a Sridevi publication which was published last year. The book titled “Little Known Wonders of Sri Lanka in 2017 was also a Sridevi publications. In the year 2017 he wrote a personal tribute titled: Life of Dr. Malinga Fernando, by an intimate friend for more than 50 years – published by Sridevi publications Dehiwela which was distributed free of charge among friends which is indeed a rare hallmark of a true friend. As an octogenarian he has given the next book on “Elephant Kraals” to the printer working on his personal computer .A snippet on the Madara tree growing in his garden donated by Sam Elapatha Jnr., which were regaled by him to these writers standing under the shade of this tree as a remedy for an attack by any pachyderm. Presently he is working on a another thumbnail sketch or a pen sketch on the medical professionals, who have excelled in other fields. Dr. Uragoda’s whirlwind romance with Padma Rambukpotha bore fruition when they tied the nuptial knot on December 26, 1958. They celebrated their Golden jubilee in 2008. He sired four children. Dr. Lalith, Neluka, Dianthie and Dishana and blessed with several grandchildren. Dr. Uragoda’s ‘healing touch’ as an eminent medical professional is legendary. He treated the top most the then President “JRJ’ and the ordinary plebeians or the coaster in the country. He was fortunate to celebrate his Golden Jubilee as a medical professional as he entered the profession in 1953 serving the Galle hospital for one week. In the year 1985 he served as member through distinction of the Faculty of Occupational Medicine of the Royal college of Physicians of London claiming as the only Sri Lankan to be appointed to serve so. Dr. Uragoda was awarded the Guinness Award of the Commonwealth Science in 1980, Peter Pillai award and the Sir S C Obeysekera Medal awarded by Lady Hilda Obeysekera of the RAS in recognition of the distinguished services rendered by him, where for more than five decades he serves as a life member of the society. Dr. C G Uragoda has had won unending accolades from both the medical profession and the public. Naming two orations by the prestigious Sri Lanka Medical Association and the College of Chest Physicians while he is alive is an extremely a rare honour which is bestowed on the recognition for his exceptional ability. It was not of men who excelled like in the exceptional caliber of Dr Chris Uragoda that Alexander Pope who wrote : “One science shall one genius fit; so vast is art so narrow is human wit .“It is a lamentable fact that as Henry Taylor said ( Artvelde , Part 1 , Act 1 Sc. 5), “ the world knows nothing of its greatest men “ which impelled us to write on Dr Chris Uragoda the onerous task , as he is an intensely a ‘private ‘ person who made no public pronouncements and did not / and do not wish to be in the limelight. Dr. Uragoda – a distinguished literati, a medical luminary ,an erudite scholar –sui generis – above all an unassuming gentleman of par excellence . We wish him AD MULTOS ANOS!! !.